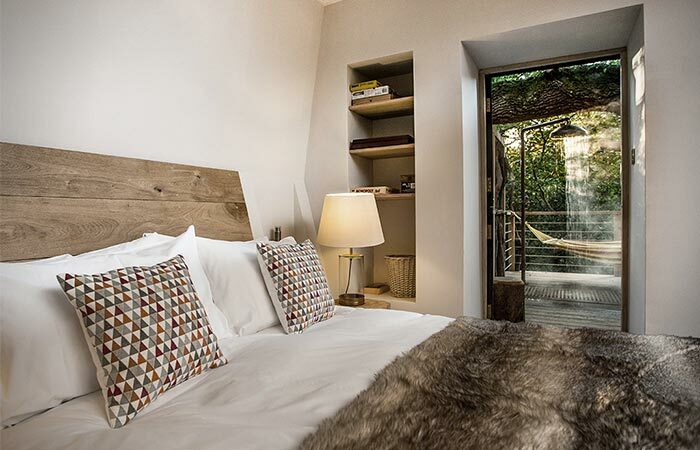 The Woodman’s Treehouse is a perfect retreat that blends the natural environment with the luxurious experience. It’s available from this summer for all the guest interested in staying. Because it’s beautifully crafted, no wonder guests often describe this magical setting as ‘Utopia’. 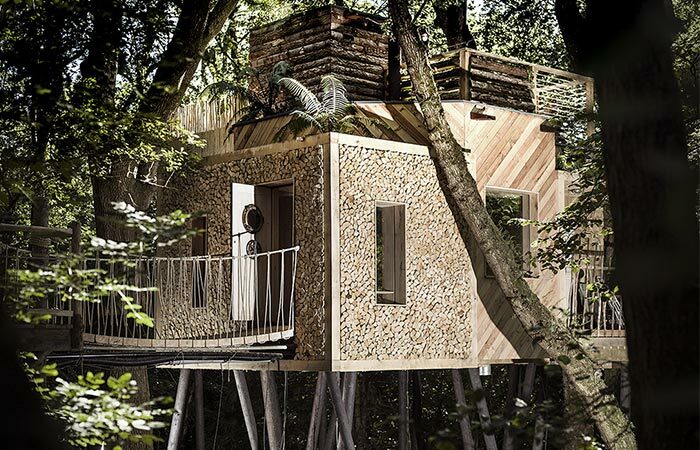 This treehouse sits 30ft high amongst the branches of three oak trees. Because of the environmental structure, the trees don’t endure heavy loads and rain water can come down normally. 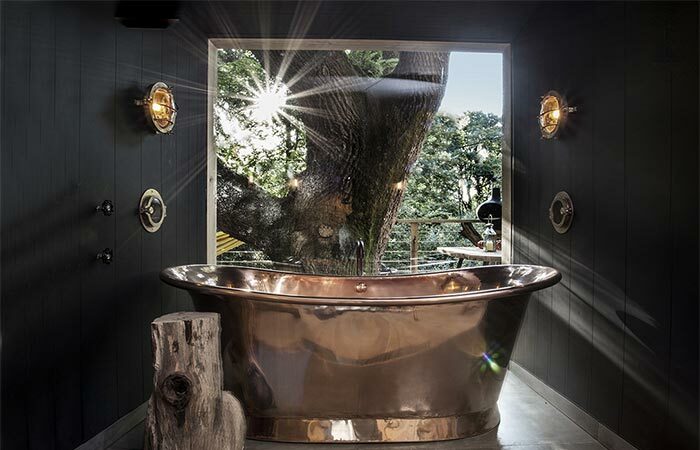 Some of the best features of The Woodman’s Treehouse are definitely the upper deck hot tub, a revolving wood burner, an open air tree shower and a stainless steel slide. But let’s talk more about the interior. 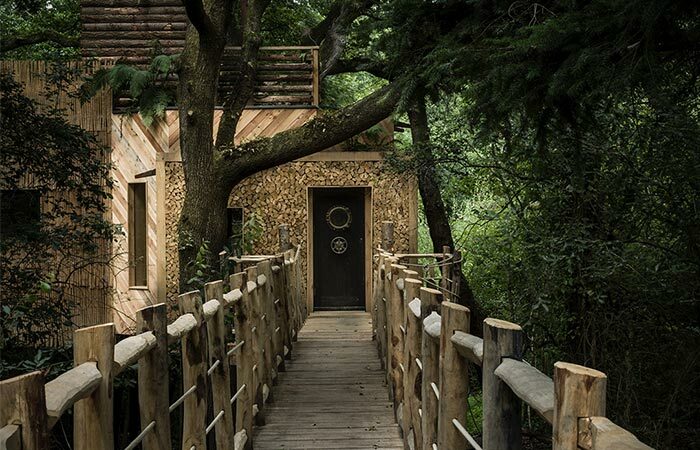 You can now spend a weekend in a beautiful treehouse. The house mixes environment-friendly design with the luxurious experience. 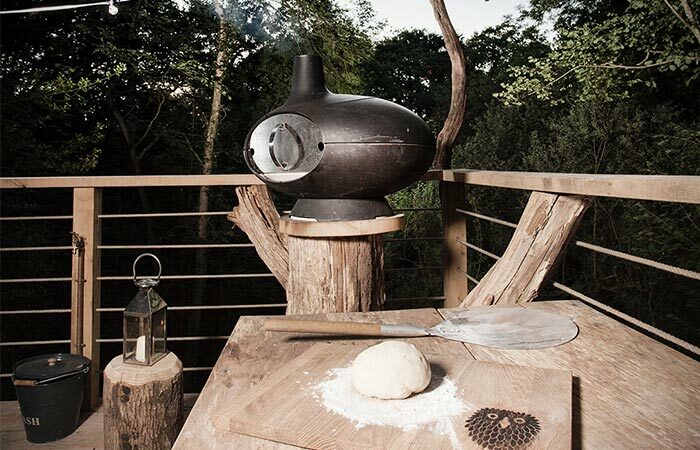 The outdoor pizza oven can be found on the outside deck. Inside, you have a nice entrance lobby perfect for placing coats and muddy boots. The central room is where the king-sized bed and a double-ended copper bath are. 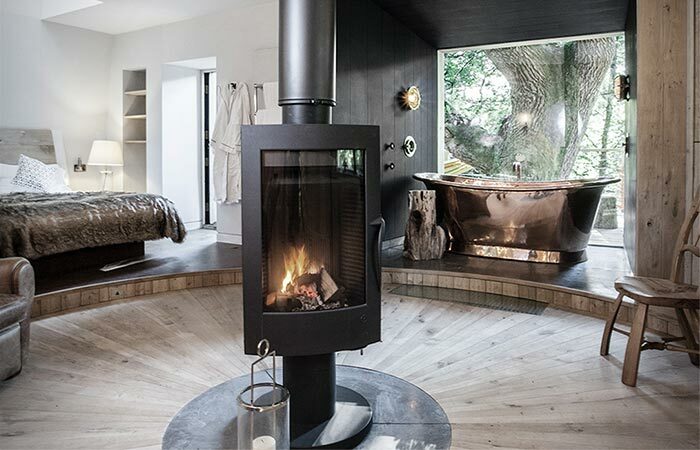 In the center of the room, you’ll notice the rotating fireplace you can turn in all directions. One more super cool feature is the window in the floor that allows you to look at a stream below you. Not to forget the indoor flushing toilet and a kitchen. Check out the tour video below. Inside, there’s a revolving wood burner you can point in any direction. The double bed is in the central room. There’s a huge rear deck outside where you can cook on a wood fired pizza oven or barbecue. One more deck is on the roof, with a hot tub and a sauna. The interior also features a nice copper bath. 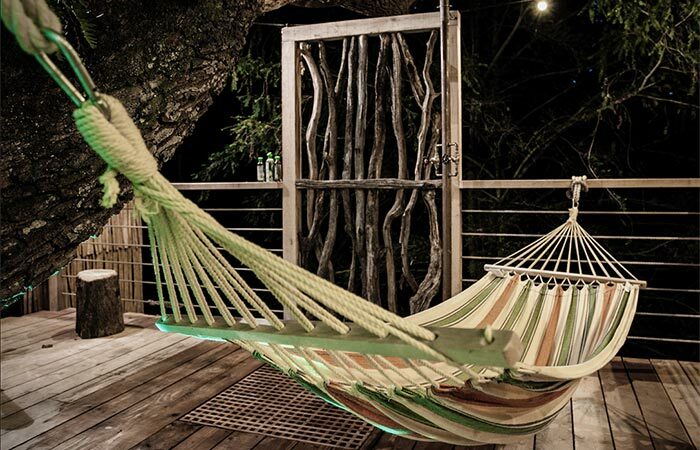 Outside decks are perfect for relaxing and preparing food. Check out this video where the owner of the house Guy Mallinson gives a tour.